Who Wears ALLSAINTS: Jacqui Ainsley. So you may, or may not know, that Jacqui Ainsley is the new lady friend of filmmaker and former Mr Madonna, Guy Ritchie. Jacqui playfully said goodbye to Mr Ritchie yesterday lunchtime wearing the AllSaints Deimos Dress and Sand Heels; while he sported an Andy Pandy pair of PJ’s! Jacqui leaves Guy Ritchies house wearing the AllSaints Deimos Dress and Sand Heels. Jacqui blows a kiss while wearing the AllSaints Deimos Dress and Sand Heels. Jacqui looked summer cool wearing the AllSaints Deimos Dress and Sand Heels and Chanel 2.55 mini bag. Secret Garden Dress, £160, AllSaints. I saw the illustrator of this dress hard at work, illustrating this print, last year… and I’ve loved it ever since. SO, when the dress was finally delivered into stores and online at AllSaints.com I desperately had to have it! 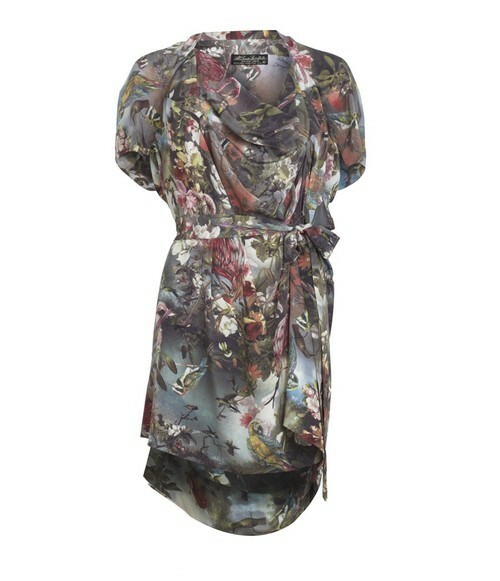 I bought the Secret Garden Dress from the Market Place branch of AllSaints this week. LOVE IT! Secret Garden Bikini Top, £25, AllSaints. 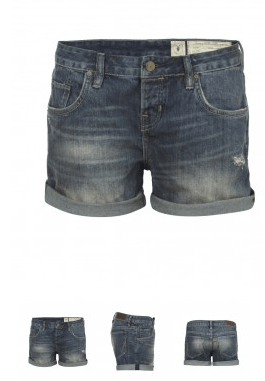 Secret Garden Bikini Bottoms, £25, AllSaints. 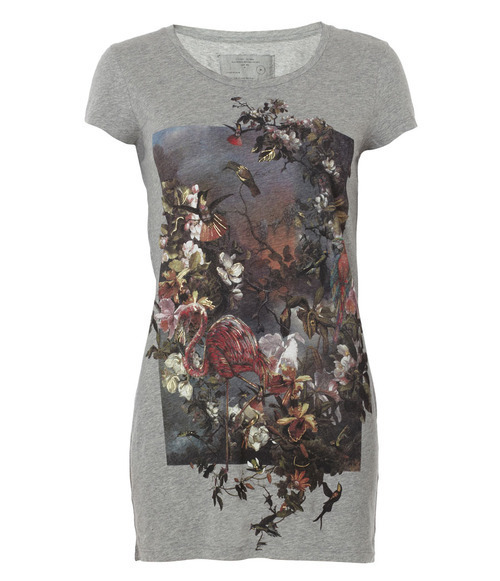 Secret Garden Tee, £40, AllSaints. 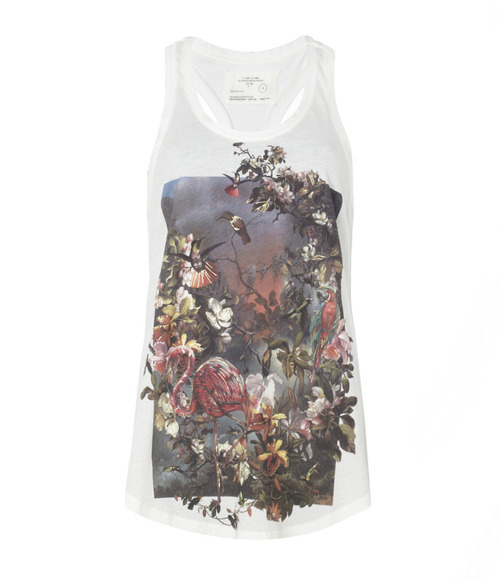 Secret Garden Vest, £35, AllSaints. 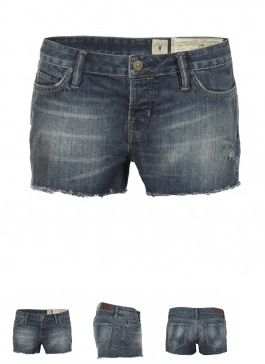 River Island used a photograph of Miley (bloody) Cyrus wearing the AllSaints Damisi boots in the above snapshot from today’s eMailer. 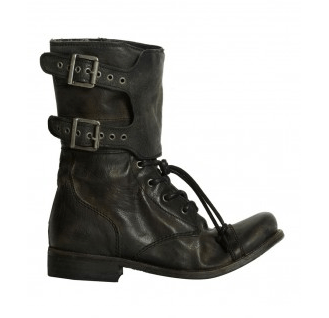 You can buy the lovelyAllSaints Damisi Boots in Leather here: Leather Damisi Boots and in Suede here: Suede Damisi Boots. Absolutely love this “Little Saints On Location” video! I left my head and my heart on the dancefloor. This video needs zero introduction, but this is it you little monsters. “Telephone” by Lady Gaga and Beyonce. READ THE WORLDS GREATEST ‘TELEPHONE’ CRITICAL REVIEW HERE.